Since DeepSec 2011 has ended and we still want to have a chat with you, let’s meet at the party! 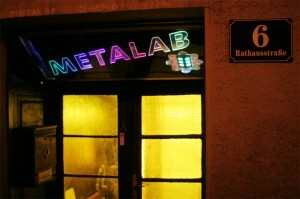 It takes place at the Metalab, a local hacker space next to the town hall. We have music, we have stuff to drink, we got access to the Intertubes, we got lots of nice people, and even more reasons to have some fun! Don’t miss it! This entry was posted on November 18, 2011 at 18:35. You can follow any responses to this entry through the RSS 2.0 feed. Both comments and pings are currently closed.